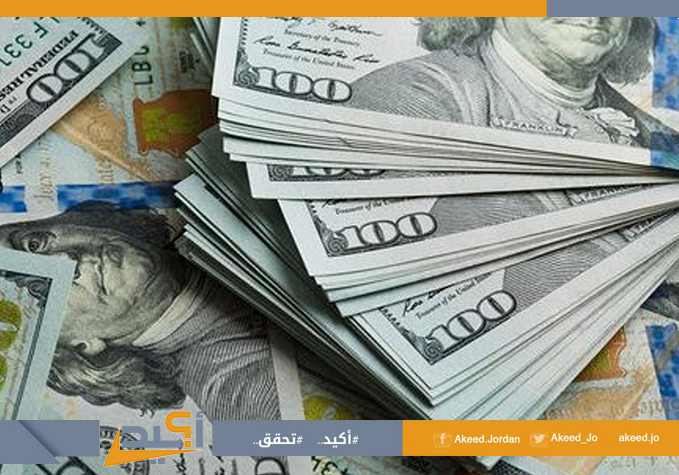 A total of 60% of news articles criticized the World Bank’s USD1.2 billion loan to Jordan, questioning its impact on reducing the alarming public debt, a survey conducted by Jordan’s Media Credibility Monitor “Akeed” showed. Nine out of 15 articles (six reports and three opinion pieces) said the loan, the largest in the Kingdom’s history, will negatively reflect on the debt - which ballooned to JD28.488 billion end of October. Or, they argued, it will not lead to improving the debt indicators in the coming period. It is worth noting that recent figures released by the Finance Ministry revealed that Jordan’s debt-to-GDP ratio stood at 94.4% by end of the first ten months of 2018. Six other articles (three reports and three opinion pieces), representing 40% of articles monitored, discussed the potential positive impact of the loan on the debt level and Jordan’s economy in general. It is worth noting that the survey, conducted between January 11th and 14th 2019, excluded six reports that were widely circulated by media outlets and websites and which relied on government sources. These included Prime Minister Dr. Omar Razzaz (one article), Finance Minister Izzedin Kanakrieh (three articles), and Minister of Planning and International Cooperation Mary Kawar (two articles). Several media outlets published the premier’s announcement of the WB’s approval to grant the USD1.2 billion loan with minimal interest. The announcement was made during a meeting with Jordan’s expat community in the US in which Dr. Razzaz explained that the loan is set to help the Kingdom to reschedule previous debts. It is also expected to help give a real boost to investment by both the private and public sectors in Jordan, he told the meeting. Reports covering the Premier’s announcement carried similar headlines: “Al-Razzaz: World Bank’s Biggest Loan to Jordan, Al-Razzaz: World Bank Agrees to Grant Jordan a loan of USD1.2 Billion. World Bank Grants Jordan Low-interest Loan aimed at Financial Reforms. With US Backing: Biggest World Bank Loan to Jordan since Formation of Kingdom. Media outlets sought out the opinion of experts who highlighted the importance of the loan for the government and its role in maintaining the level of foreign reserves and advancing economic reforms. The state broadcaster (JTV) also hosted the Director General of the Association of Banks in Jordan Dr. Adli Kandah to discuss the issue. Several news reports were written following the interview, and mostly focused on the loan repayment period, which stands at 30 years, in addition to a five-year grace period. Three opinion pieces supported the loan and carried similar headlines: The World Bank Loan… Context and Priorities, the World Bank Loan!, A New USD1.2 billion Loan. However, news of the loan approval by the WB drew criticism from opponents; some reports questioned “the real need” for the loan given the government’s approach that is heavily dependent on loans and accumulating interest. These incorporated views that were shared by citizens on their personal social media accounts. Many social media posts said the IMF continues to be in control in Jordan, and criticized Jordan’s obedience (submission) forced by the huge loans it takes. Opinion writers also discussed the media marketing of the loan. They questioned whether the new loan should be considered an achievement for Al-Razzaz or just a new burden for Jordanian citizens. Critical headlines were used: Biggest Loan from the World Bank to Jordan…An Achievement for Al-Razzaz…?? A New Loan…I cannot Describe How Happy We Are, A Maze of Financial Mumbo-Jumbo. Some media outlets highlighted the contradiction between the Finance Minister’s statements and the Premier’s announcement. Kanakrieh announced through Jordan’s News Agency, Petra, “that the WB loan was still under negotiation.” He added that the loan’s terms and conditions that cover interest and maturity have not been finalized yet”. In statements to a local media outlet Kanakrieh reiterated that there is no contradiction in the government statements. He explained that the WB first gives approval “in principle” of the loan, after which negotiations over the terms and other details follow.